most of the land drained by the West Branch of Pine Creek. 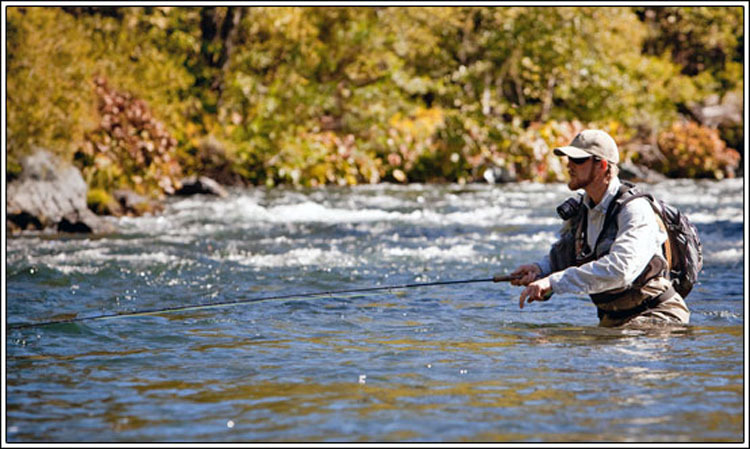 The 45-acre Lyman Run Lake is noted for its exceptional water quality and provides excellent trout fishing. The Pennsylvania Fish and Boat Commission stocks the lake with trout throughout the fishing season. Electric motors only boating facilities include a launching ramp and a courtesy dock. The mooring area holds 60 boats. A permit, available at the park office, is needed for the moorng area. The 300-foot sand beach is open from late-May to mid-September, 8 a.m. to sunset. Swim at your own risk. Please read and follow posted rules for swimming. A modern bathhouse with flush toilets, changing rooms, snack bar and boat rental is the centerpiece of the beach area. The 142-acre George B. Stevenson Reservoir has fishing for cold-water and warm-water species, including brook, rainbow and brown trout, small mouth and large mouth bass, sunfish, bluegill, pickerel, perch, crappie, catfish and tiger muskellunge. Nearby creeks and runs also provide good angling. Some feeder streams in the park contain native brook trout. There is a delayed harvest artificial lures only special regulation area from the mouth of Baily Run south 2.1 miles on First Fork Sinnemahoning Creek. About 1,400 acres are open to hunting, trapping and the training of dogs during established seasons. Common game species are deer, grouse, squirrel, bear, turkey and waterfowl.